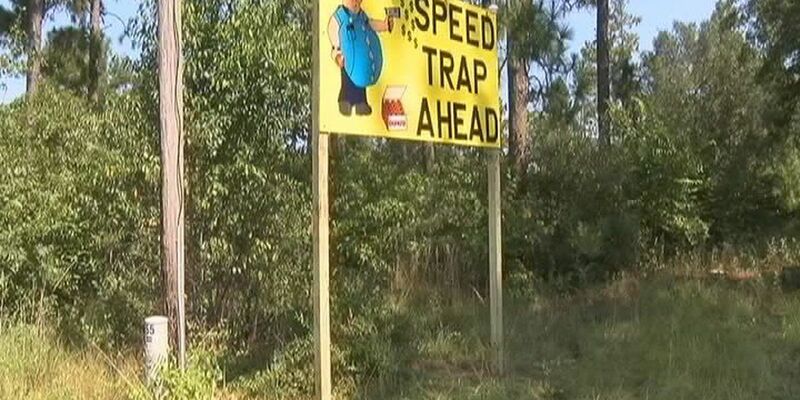 POULAN, GA (WALB) - A handmade sign a Poulan man put up warning folks of a so-called speed trap in the city has been stolen. Maylon Benson, who posted this sign last August, says someone took it a couple of weeks ago. He put it up on his property along Highway 82 just outside Poulan because he says police there write too many speeding tickets instead of focusing on bigger crimes. "They're hustling people instead of going out there and doing their job. They should be ambassadors to the community, and get people with hard narcotics, trafficking guns, terrorists, that would be a wonderful thing for them to do," says Poulan resident Maylon Benson. He says he would like to make another sign in the future.